I was right when I predicted that bridal wear will soon no longer be strictly for white weddings. GLEE star, Lea Michele was spotted wearing the Willow gown from Jenny Packham’s Fall 2012 Bridal Collection at Glamour‘s Women of the Year Award, Coco Perez reports. 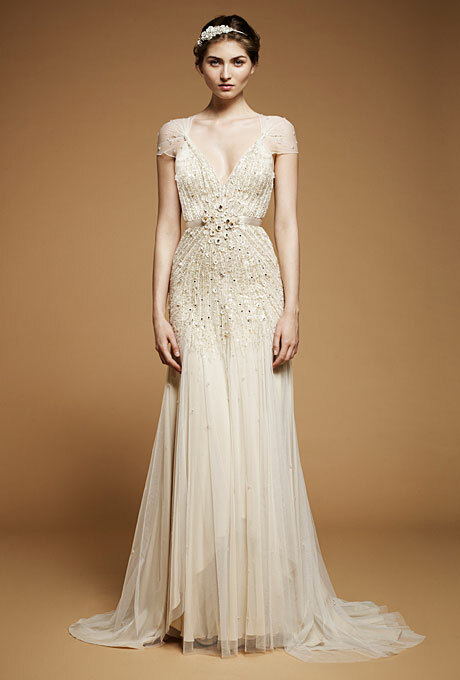 The Willow gown was one of my favourites from the collection with its delicate cap sleeves and intricate beading. Taken out of context and without a veil or fascinator, the gown is a perfect evening dress for a young woman. You completely forget it’s a wedding gown! While the style of this dress is retro, bridal design is no longer stuck in the past. I think more and more celebrities will turn to bridal designers for dresses that are feminine, elegant and perfect for shining on the red carpet. Image via Coco Perez and Brides.com.